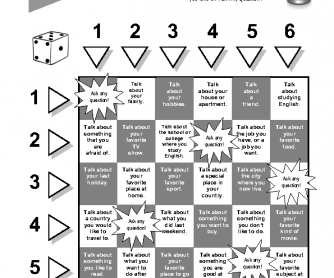 Quick and easy board game ("Get-to-Know-You" activity) for the first week of class. 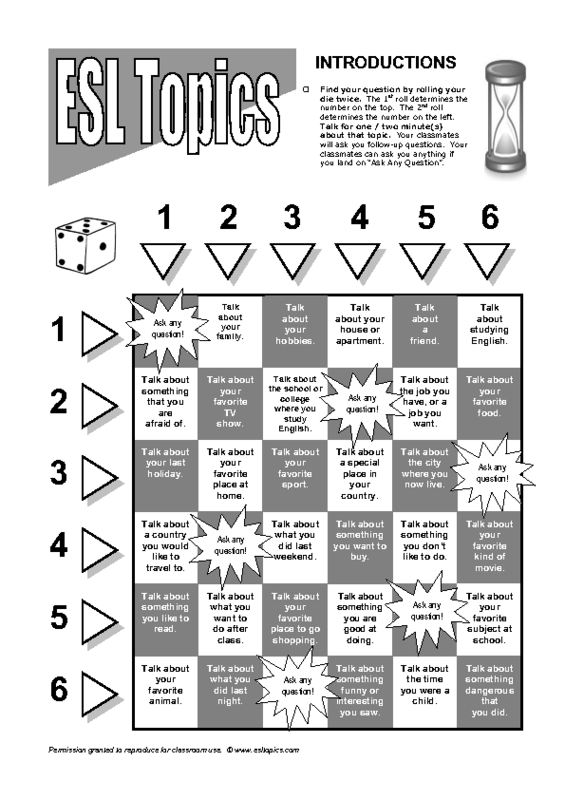 Students roll a die twice to find their question to talk about for one or two minutes. (Questions such as: "Talk about your family," etc.) For groups of two or three.